Demonstration on how to navigate the PhotonTrader Trade Matrix. 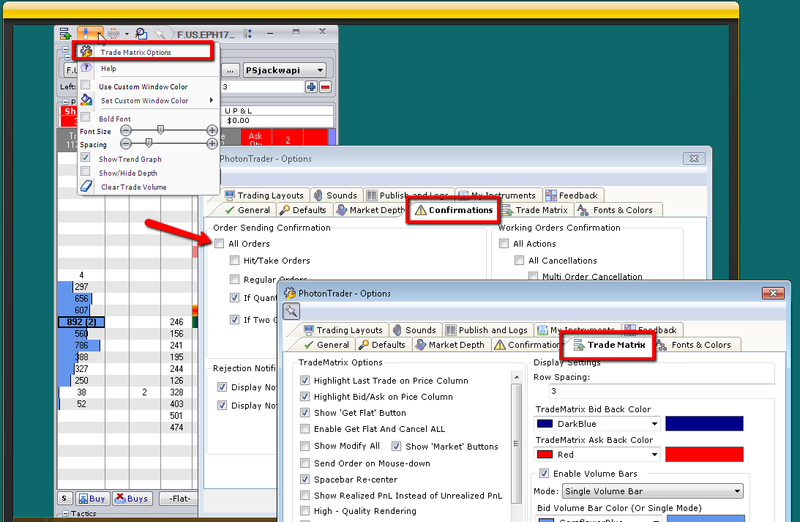 The first Icon on the PhotonTrader® Navigation Bar is the Trade Matrix. 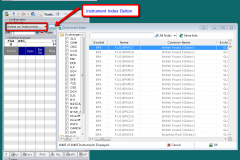 It allows the placement of orders and manage positions from the Price Ladder. 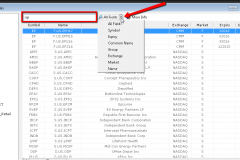 In order to populate the trading field with a contract, you must select the market from either the Select and Instrument drop down or the Instrument Index button. 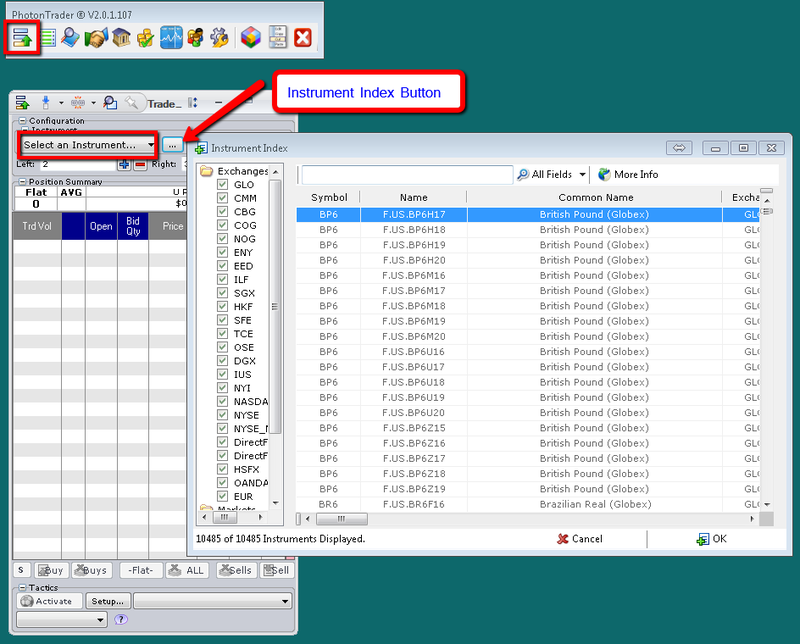 Instruments can be selected by typing in the desired symbol, or choosing a field from the search menu. 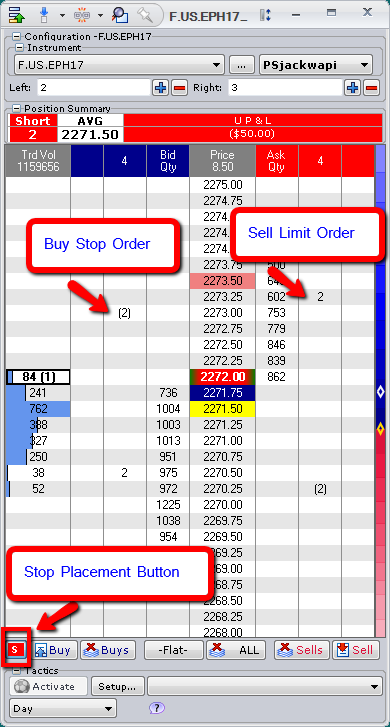 Limit orders are placed by left clicking in the Bid Qty column for Buy orders, and in the Ask Qty for Sell orders. 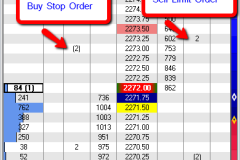 Stop Orders are enabled by clicking the Stop Placement button and then left clicking in the Bid Qty column above the market for a Buy Stop, or in the Ask Qty column below the market for a Sell Stop. 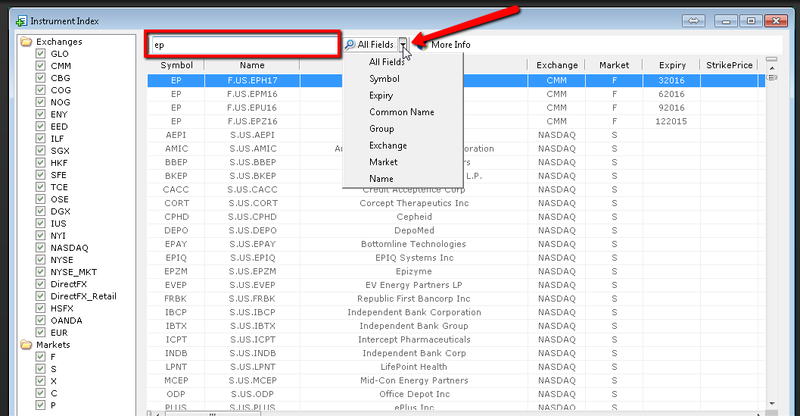 Stops can also be placed by holding down the Ctrl button, and left clicking in the appropriate Qty column. Individual orders can be canceled by Right Clicking on the Quantity represented for that order. Hot keys at the bottom of the Matrix will allow you to place Market Orders, Cancel Orders, and flatten any open positions in the enabled contract. 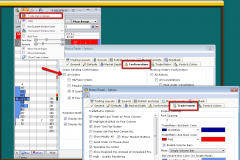 Trade Matrix Options will allow you to modify and customize the appearance and functionality of the Matrix to fit your particular trading needs. Confirmation Alerts are set by default, and can be disabled by unchecking the Order Sending and/or Working Orders Confirmation boxes under the Confirmations Tab.